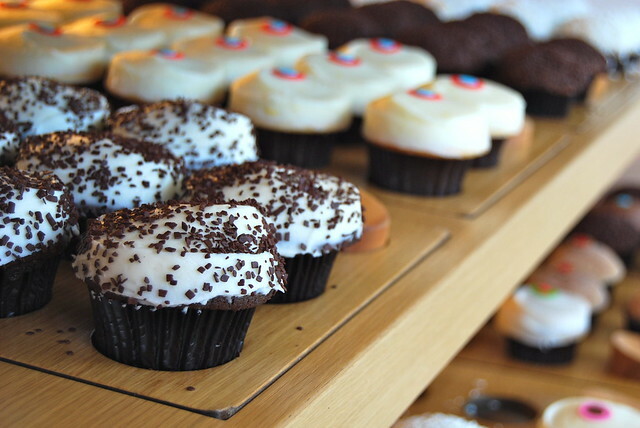 Maybe with the exception of macarons, I love nothing more than a good cupcake, so obviously one of the first pilgrimages I had to make was to the famous Sprinkles Cupcakes bakery in Beverly Hills. 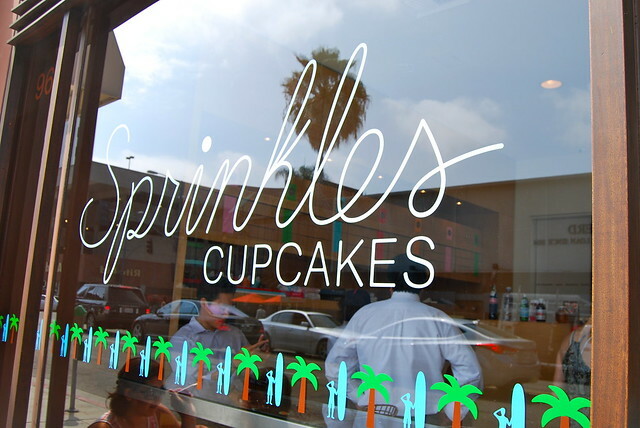 For those of you who don’t know, Sprinkles in Beverly Hills was the worlds first cupcake bakery, so it is a pretty special place to say the least, and I think it made a wonderful first foodie-come-cake addict stop for me in the city. 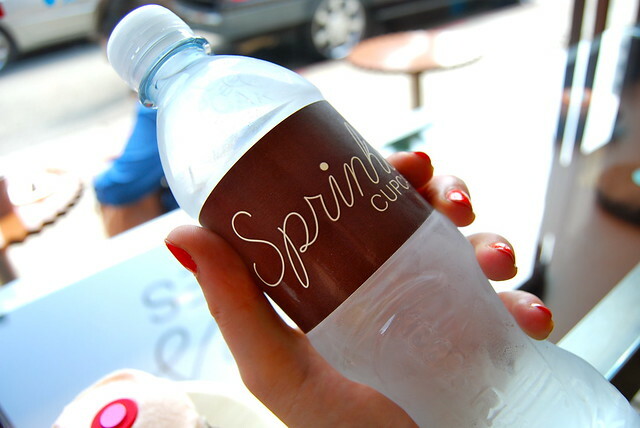 I think their especially branded mineral water is kind of cute – I really did not want to throw the bottle away! This is something rather special just outside the store, between the cupcake and ice cream sections. 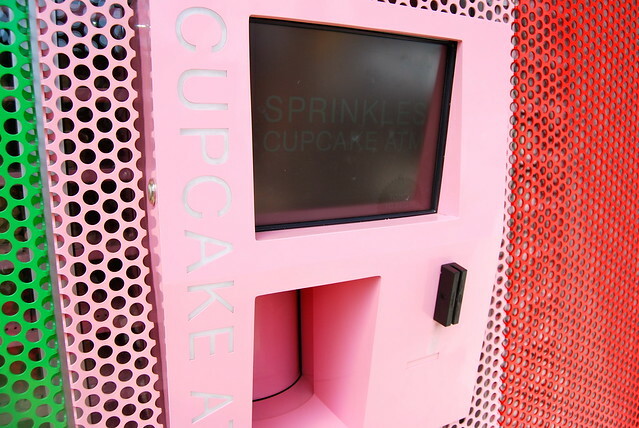 This is the famous Sprinkles Cupcakes Cupcake ATM. 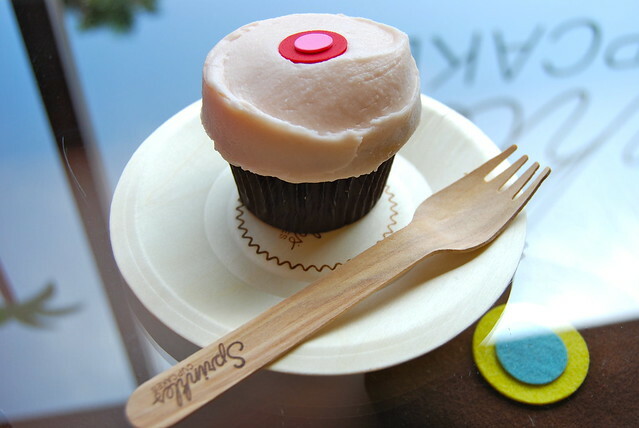 It is open 24 hours, and you can get served Sprinkles Cupcakes out of it. You can even get special dog cupcakes to feed your four legged companion. I am simply lost for words. 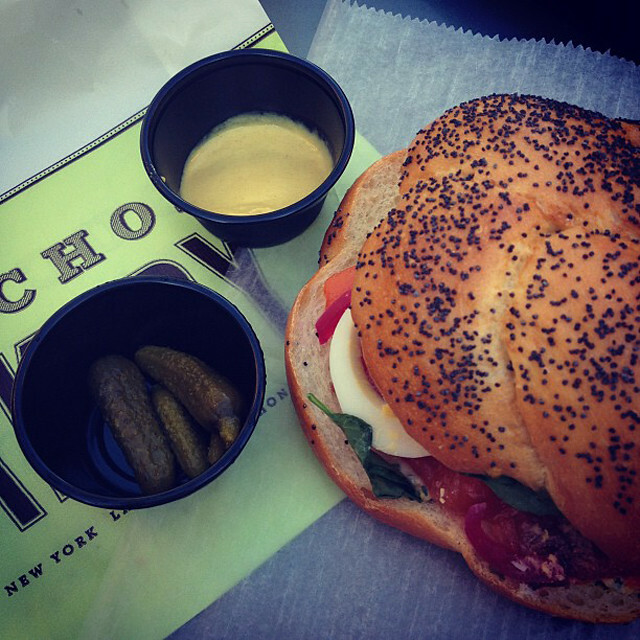 Finally, just around the corner from Sprinkles, does this visual look at all familiar to you? 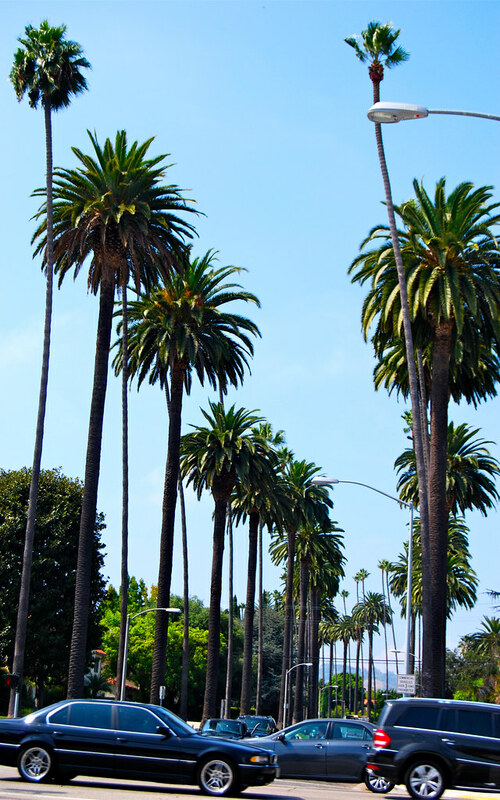 That is the odd thing about LA, you feel like you’ve been loads of places before when in fact you’ve never visited, because you see it in films or on TV so much, especially when you stumble across a generic shot like this one! 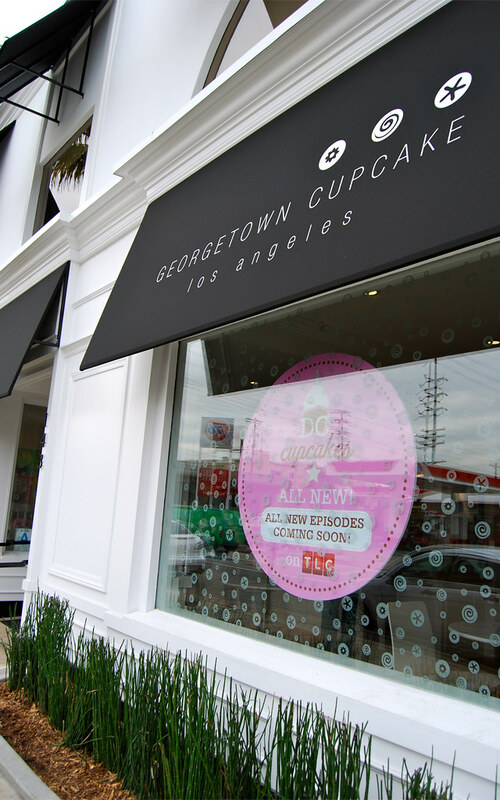 Angelenos, where else do I need to visit to get my cupcake fix in the city? 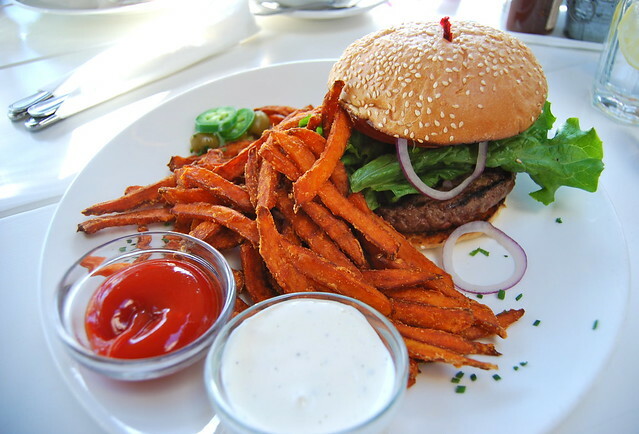 I think my next foodie fix has to be Bottega Louie – I’ve heard so much about their macarons and pastries!